The highball seems simple enough: whisky, ice, soda. It’s not rocket science. Unless, of course, you’re in Japan—where no task, regardless of size and scope, escapes a laser-like precision of execution. 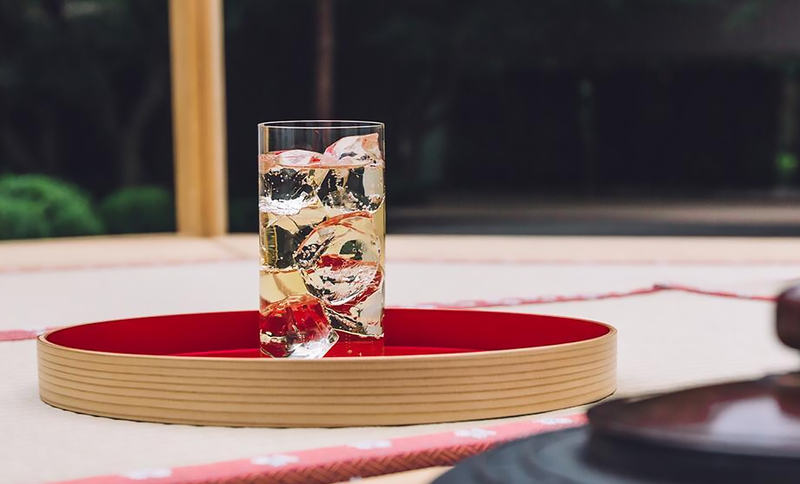 In the Land of the Rising Sun, the highball isn’t so much a drink as it is an artistic expression of minimalism. When Suntory introduced Toki in 2016—the most modestly priced blend in its portfolio—the brand saw an opportunity to elevate the Stateside stature of one of its most cherished native drinking traditions. Enter the Toki Highball Machine, coming soon to a craft bar near you. There are a handful of components in highball construction which can be easily overlooked. They mean the difference between a serviceable drink and an exceptional one. Chief among them is meticulous preparation. Observe traditional Japanese bartenders assembling the basic cocktail and you’ll sense the patient care with which they unleash the soda water upon the ice and whisky. This delicate approach imbues the drink with its refreshing effervescence—maintaining the fizz that is its lifeblood. Unfortunately, high volume bars in the United States typically don’t have enough time to regard each and every drink with this level of affection. “The machine solves some of the challenges in producing a quality highball,” explains Johnnie Mundell, Suntory’s West Coast Whisky Ambassador. “By making high pressure, carbonated water constantly available behind the bar and maintaining the whisky at a constant, chilled temperature, it is capable of really dialing things in.” Furthermore, the technology allows bartenders to set the ratio of the liquids, allowing production to be expedited without sacrificing the quality of the end result. 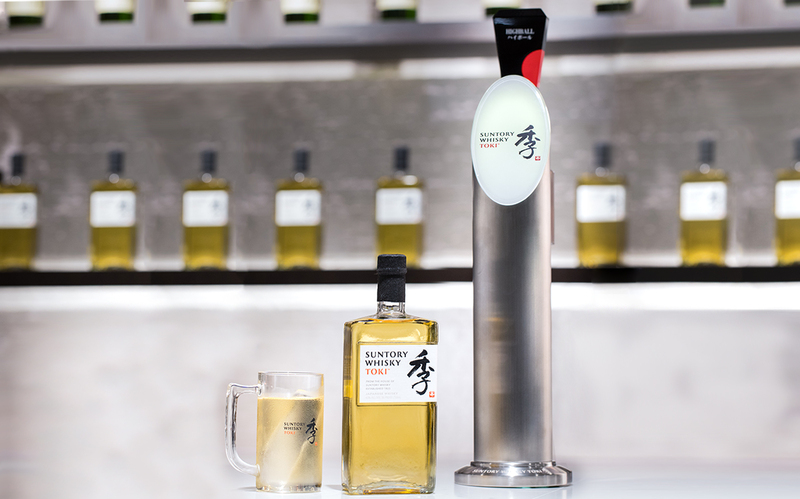 Suntory has already spread its patented device across much of its homeland. Izakayas —lively drinking dens where locals typically go to unwind after work—form the ideal settings for its success. Indeed, they have sold thousands of them there, each one retailing at an undisclosed sum somewhere in the low 4-digit range. The brand has been slow to roll them out in the US, fearing that many bars won’t see the value in such an investment. 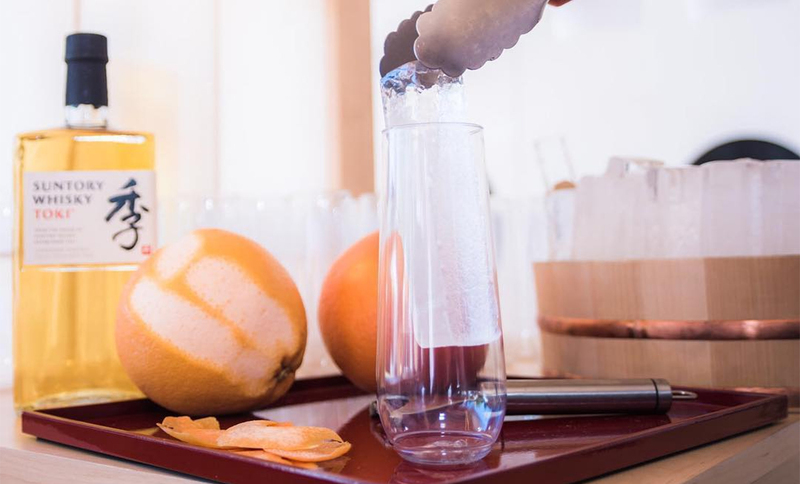 Suntory’s device places the integrity of mixology at the forefront of its design. Featuring a separate water cooler system, a high degree of specificity in carbonation, independent of the whisky, it is a toy for bartenders, made by bartenders. “My bubbles problem was solved,” Fournier exclaims, clearly in awe of its thoughtful construction. He is not alone. Faith & Flower joins a half dozen other early adopters across the country who have bought into the technology. Los Angelenos can go for round two at whiskey haven Seven Grand. New York drinkers can enjoy the perfect highball at Ippudo in Midtown. San Franciscan’s should head to Pacific Cocktail Haven, and Chicago just joined the party with Prairie School and Momotaro.